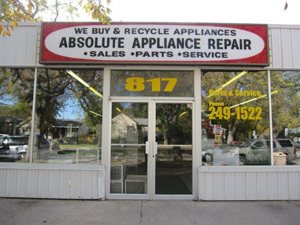 Absolute Appliance Repair provides emergency service when needed. When you get repairs done by us, you’ll know with absolute certainty that the problem has been fixed. 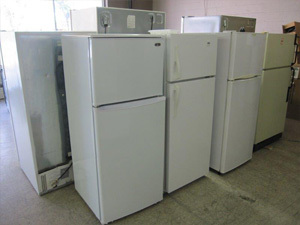 When you simply want to buy new appliances, we will remove your old ones for you. 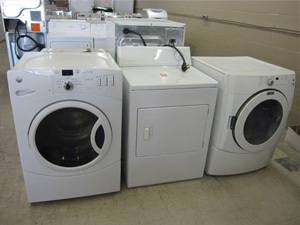 We offer great service and a wide variety of new and gently used appliances. We are one of the most unique appliance companies in Saskatoon. Choose us as an alternative to the big box appliance store—we’ll save you money and time. Our scratch and dent appliances are new, but discounted because of the cosmetic flaws. Our helpful staff will ensure you choose the best product models for your home needs and budget. If we don’t have a product in stock, we can order it quickly. We also work with commercial customers such as laundromats, hotels, campgrounds, and any other business as well.